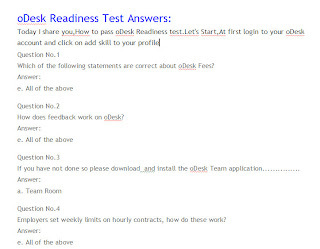 After completing your profile you have ready for a test that is called Odesk readiness test. If you complete that test your profile will reach to 100% and you will fully complete your profile. One thing remember you have to complete the test successfully. If you don’t complete the test then you will get only 2 jobs in a month and if you passed the exam then you will get 10 jobs in a month. You have to complete the test within 40 minutes. There are 11 questions in the test. You have to answer the entire question correctly. Take a Look at the image once. 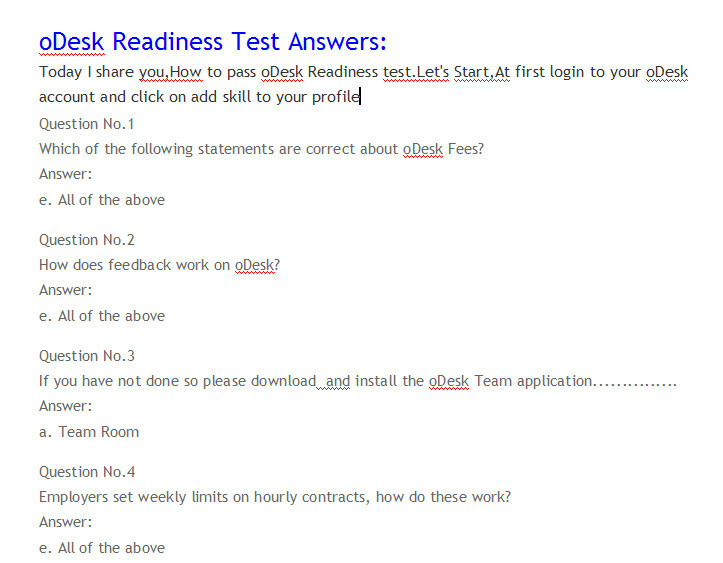 I will share some questions set up of the readiness test. Download and read it. I think that will help you. So don’t wait, download the question set and ready yourself for the test.